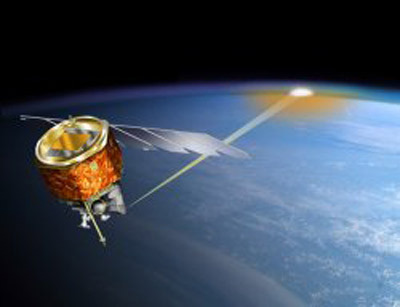 AIM (Aeronomy of Ice in the Mesosphere) is a NASA SMEX (Small Explorer) mission to investigate the causes of the highest altitude clouds in Earth's atmosphere. The number of clouds in the mesosphere, or middle atmosphere, over the poles has been increasing over the past couple of decades and it has been suggested that this is due to the rising concentration of greenhouse gases at high altitude. AIM will help determine the connection between the clouds and their environment and improve our knowledge of how long-term changes in the upper atmosphere are linked to global climate change. AIM was successfully launched on April 25, 2007, by a Pegasus XL rocket from Vandenberg Air Force Base into an orbit 600 kilometers (373 miles) above Earth.